When, on Saturday, the company working on the Dakota Access Pipeline unexpectedly began clearing a site identified last Friday in a court filing by the Standing Rock Sioux Tribe as a sacred burial ground, hundreds of Native American protestors rushed the site, attempting to stop the bulldozers. Security personnel working for the company then responded with dogs and pepper spray. 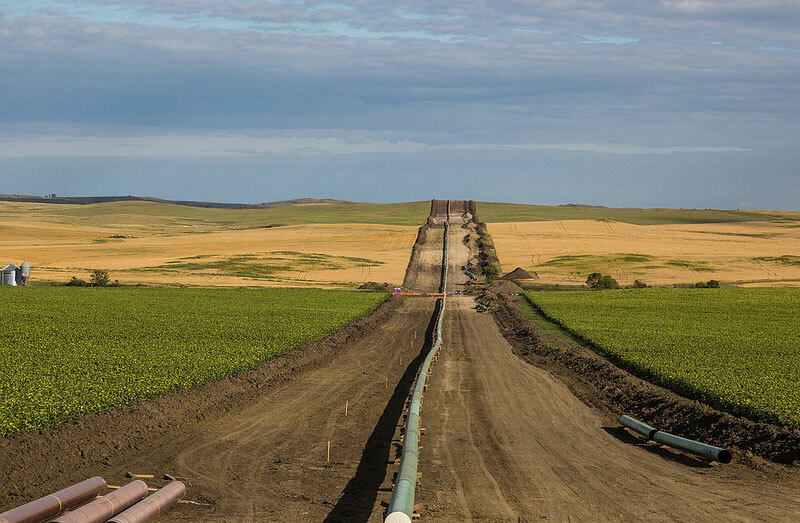 In response, a judge, hearing a suit filed by the Standing Rock Sioux tribe, ruled that construction must stop temporarily between North Dakota’s State Highway 1806 and 20 miles east of Lake Oahe. The tribe’s attorney, Jan Hasselman, a staff attorney with EarthJustice who represented the tribe in federal court, describes the incident as an act of provocation undertaken within hours of when a legal resolution was expected. “Energy Transfer said to the court that we hadn’t proven that there were sacred sites or important sites in the pipeline route,” explained Hasselman to Amy Goodman of Democracy Now, “and they claimed to have looked with their private consultants. So, we went and provided exactly the evidence that they said that we needed to provide. And 12 hours later, the bulldozers were out” on the very site identified in the Tribe’s filing.